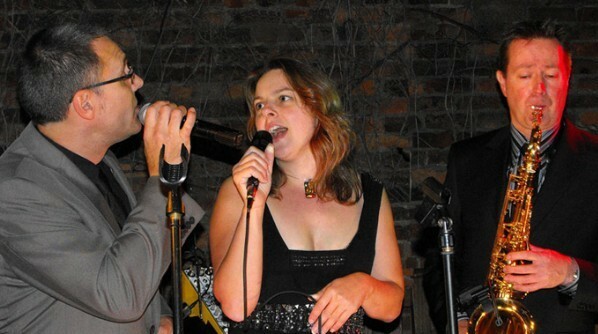 Swing, jazz and jive, a little bit of soul and some classic Rock ‘n’ Roll band for hire. Swing, jazz and jive, a little bit of soul and some classic Rock ‘n’ Roll! Phil is a versatile vocalist, fully self-contained with an excellent PA including lights, carefully selected backing tracks and excellent musicians. His set includes tributes to a whole range of great and fun Vintage music, from Fred Astaire to Frank Sinatra including modern takes on all things retro. He is available in a solo capacity or with a duo/trio/band. He is also available, and regularly called upon, to dep or guest with various big bands. Phil started out singing in the school choir but only took a serious interest in performing live when invited to sing in a rock/pop band. He spent some years learning opera but only truly found his voice when he took up jazz. His vocal influences are wide and varied, but Mel Torme, Tony Hadley and Frank Sinatra were some of his main influences and inspiration in the early days. Bill learn clarinet at school and took an early interest in American big band and jazz. He taught himself saxophone and soon found influences from the New York session players of the day. He is regularly asked to participate in session recordings for various projects. He also currently gigs with a Phil Collins tribute band and function band. Kathrine, like Phil, started out in the school choir, took up vocal training and continued to sing semi-professionally until she was invited to sing with a local big band. She then went on to help out a local community band where young and inexperienced musicians were given the opportunity to perform in a professionally run group. She currently sings with a big band. Denise’s birthday, Château de Cocove, France.